But for now I’m stuck with what I have so painting is the only option. 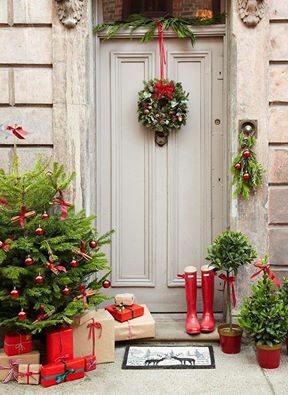 The ultimate aim is a lovely Christmas doorway. I love this one! So back to painting . Here’s what I’m working with. 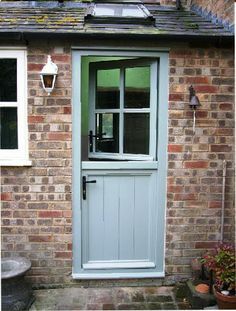 Your bog standard pvc door. 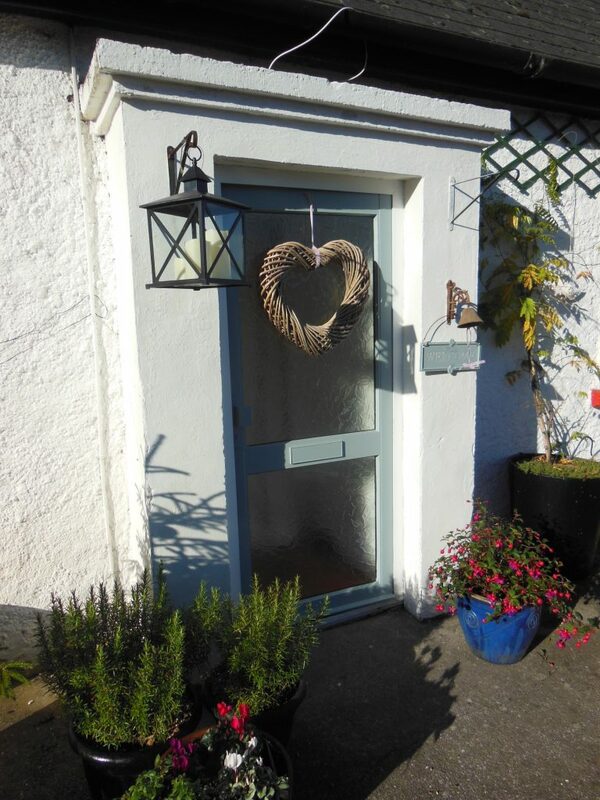 It took me ages to find pics as I don’t tend to take any due to disliking the door so much but this is from a few years ago. 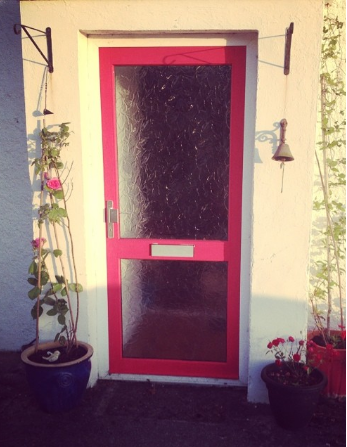 Since then I painted it with Annie Sloan Chalk Paint in Imperial Red. After researching on the internet the information I found suggested painting it direct on the door so that’s what I did. I also read that because it’s outside I shouldn’t wax it after. This is what it looked like when I painted it. I loved it at the time but it faded VERY quickly. This is what it looked like approx 2 years later i.e. last week. As you can see it has really faded. Quite frankly it looked awful!! 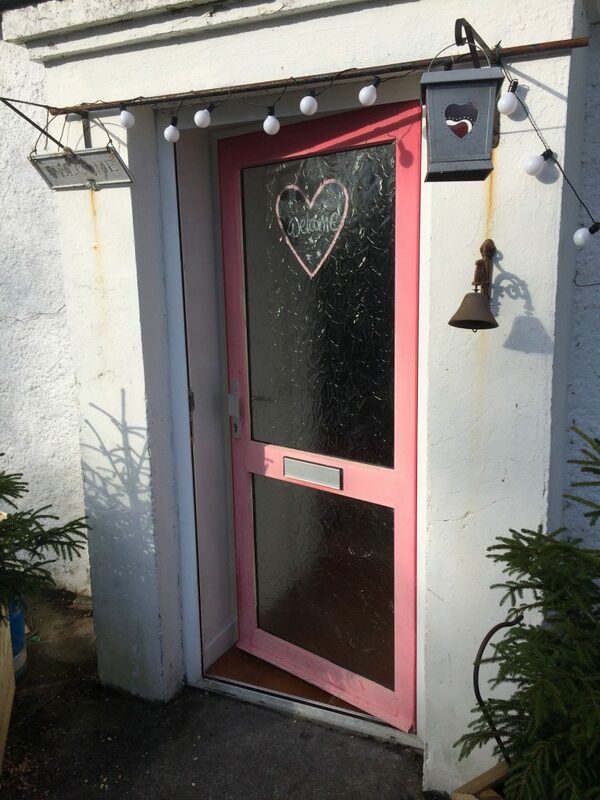 This time I decided to try a new paint and after an impromptu trip to Nook and a very informative chat with the lovely owner Ursula, I bought some Autentico Chalk Paint and decided to try painting the door once more. First I sugar soaped the heck out of the faded red door. What a mess that was!! Then I got my electric sander out and sanded the door to create a key for the paint. Then I sugar soaped it again. Yes again! Then I primed it with Autentico Primer (one coat). I started with a brush but quickly changed to a small roller. 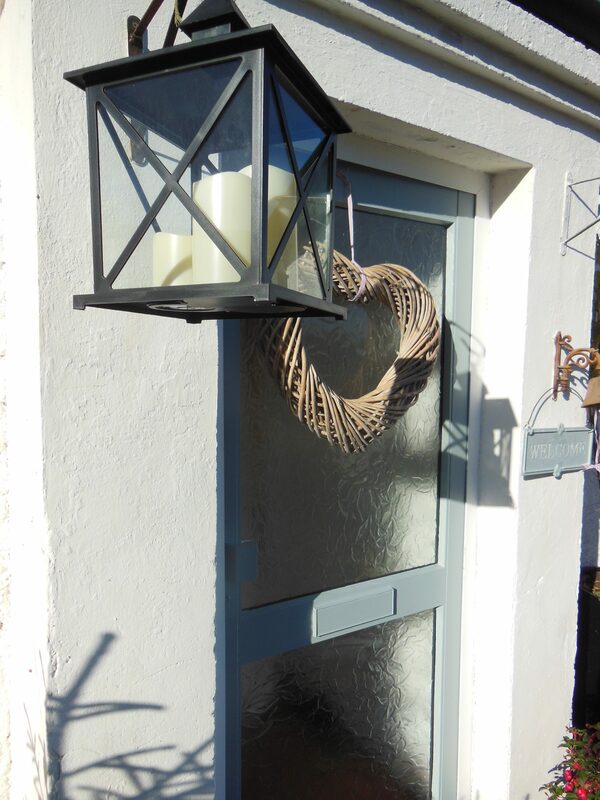 After that I gave it three – yes three coats of Autentico Scandinavian Blue paint using a roller. I love the finish of the paint and the colour too. 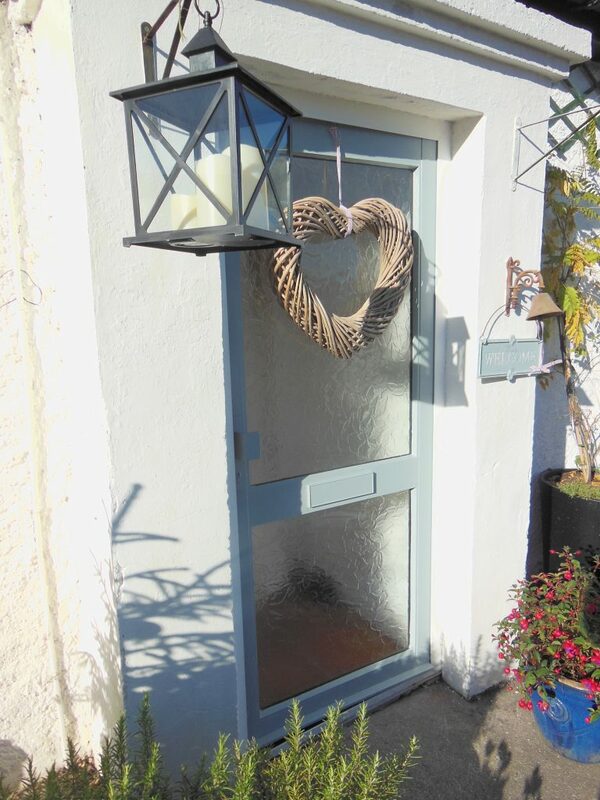 I even painted the silver handle and letterbox. I had thought about painting over them in black after but I like the way it all blends in. I still don’t like the frosted glass and am very tempted to paint that too or decoupage the inside of it. Not sure yet so I’ll leave it be for now. What do you think? 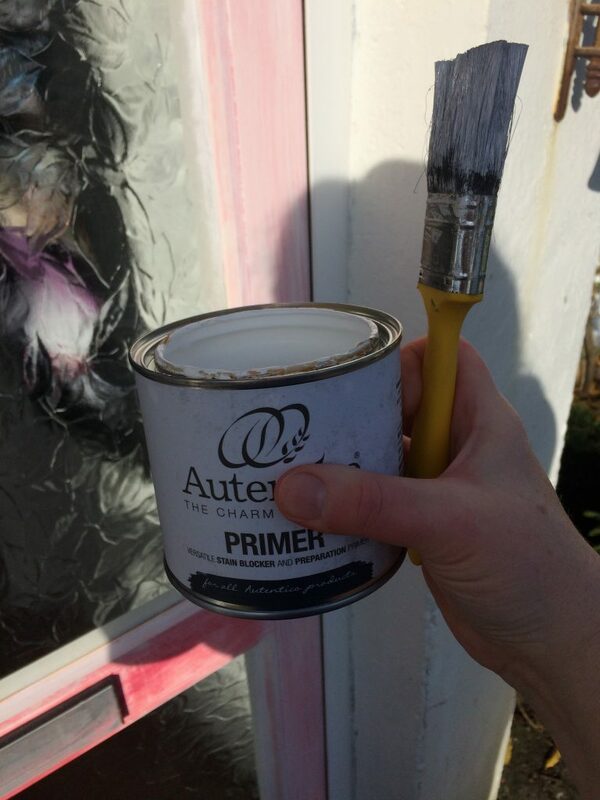 Have you tried Autentico paint? Leave a comment below or tag me on Instagram or Facebook. Would love to see yours. 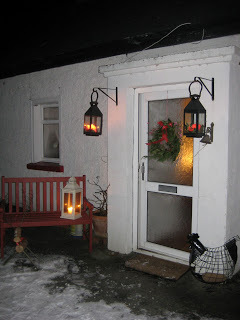 I’m now tempted to paint my window surrounds too but I think I better leave that until Spring time. 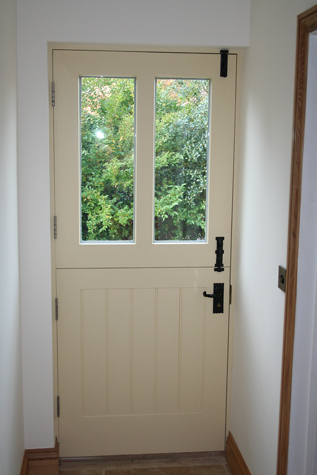 I have loads of paint leftover for other projects so it was really cheap to do – a lot cheaper than buying a new door! 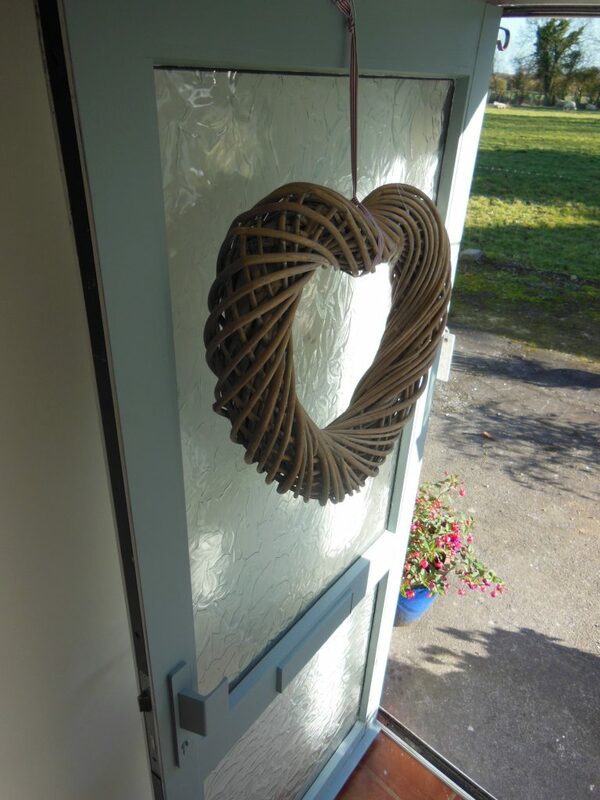 My name is Michelle and I am based in the West of Ireland in County Roscommon. 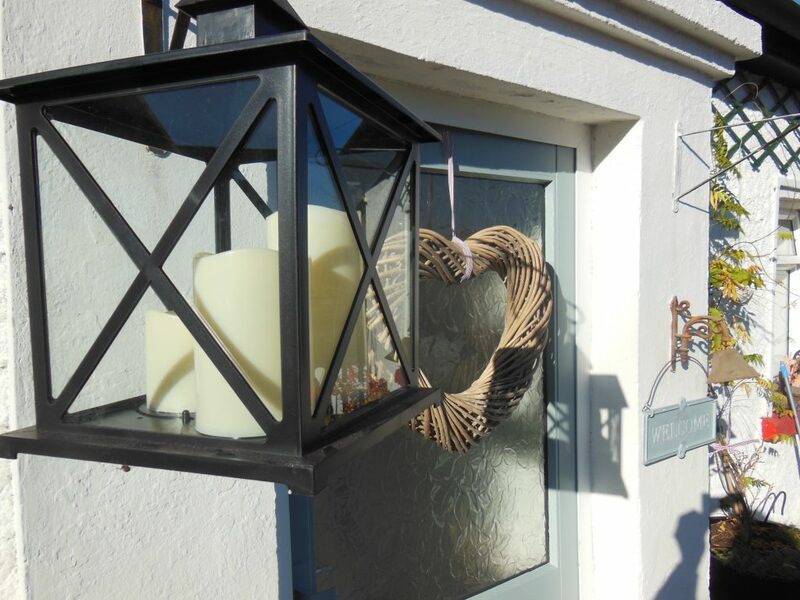 Here I run creative workshops from my cottage (originally my grandmother’s) and make and create my own textile artwork, home accessories and heirloom dolls.